← Week Six Picks: Being organized; that’s having it all! 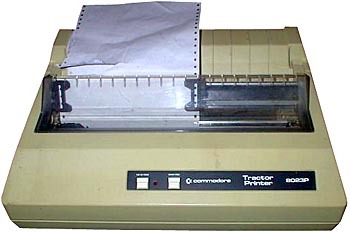 When I was child, my mother had always brought home those punch hole notepads (used for the old Commodore 64-type printers) from her job. 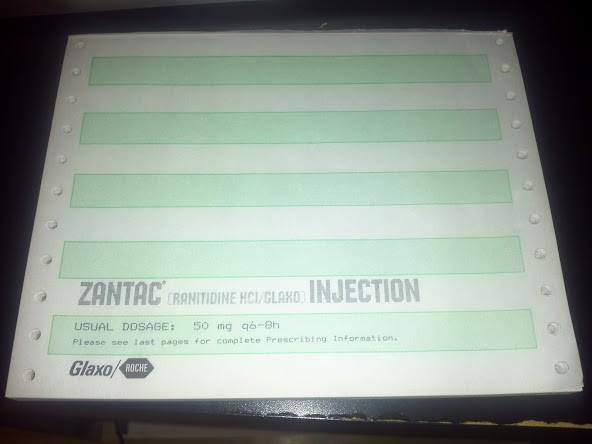 The hospital where she was a nurse for more than three decades had many pharmaceutical drug salesmen who’d visit to give away their widgets to remind them of the new drug of the day, Zantac. Back in the 80s before stress balls and coffee mugs, the notepads were the go-to item. The doctors and nurses used them often and it was great promotion. Through time, those notepads were collected en masse and used up plenty of storage space in my attic (i.e. my old bedroom). One day, my mother did some spring cleaning and offered me a box of my childhood belongings. Those Zantac tablets were staring me in the face. But what could I use them for? The green and white lines lent themselves to some list making. Since it was December, I thought I could set up some goals for 2014: Pay off a debt; repair the house and outside; Create savings and checking; Learn a new skill; Keep in shape; Maintain and focus on my relationship; and Kill bad habits. That was one sheet. What could I do with the rest? It was January 1. I thought, ‘What would I need to even begin to tackle my list of goals for the year?” The good news was that I arrived at the answer. It was STRENGTH. The bad news: It was January 2. Why was it bad? That’s when I’d thought of the idea that has now become a part of routine for this calendar year. That day, I took the first word, STRENGTH and wrote an appropriate passage below it. Then the word, POTENTIAL on another sheet for the next day, and only posted the second on Facebook. The third word, COURAGE was posted on my Instagram account. The goal was to provide some encouragement for myself to conquer my goals list, but it’s slowly turning into daily goal in of itself. I wake up, think of a word and the first thing that came in my head I would write or draw. It would take me no more than 15 minutes of my time to complete. It became an exercise of positivity that was enjoyable and revved my engine for the upcoming day. Day Three turned into Four, then Day 80, Day 160, Day 250 and on and on. I don’t get too many likes for these words, and that’s alright. I’m not trying to be famous. But it’s enjoyable to see strangers, some more famous than others, randomly stumble along their accounts and see a word. I’d get a “cool” or “That’s what I’m talking about.” and other notes of encouragement. Hey, if it gives them some motivation or inspiration to go about their day, that’s fine with me. I don’t know what this will end up being, but all I know is that it makes me happy to pass along a message to whomever every single day. That’s it! What are some of the daily things you do that inspire or motivate? Comment below! MINNESOTA VIKINGS AT GREEN BAY PACKERS — 8:25 p.m.
CHICAGO BEARS AT CAROLINA PANTHERS — 1:00 p.m.
HOUSTON TEXANS AT DALLAS COWBOYS — 1:00 p.m.
BUFFALO BILLS AT DETROIT LIONS — 1:00 p.m.
BALTIMORE RAVENS AT INDIANAPOLIS COLTS — 1:00 p.m.
PITTSBURGH STEELERS AT JACKSONVILLE JAGUARS — 1:00 p.m.
TAMPA BAY BUCCANEERS AT NEW ORLEANS SAINTS — 1:00 p.m.
ATLANTA FALCONS AT N.Y. GIANTS — 1:00 p.m.
ST. LOUIS RAMS AT PHILADELPHIA EAGLES — 1:00 p.m.
CLEVELAND BROWNS AT TENNESSEE TITANS — 1:00 p.m.
ARIZONA CARDINALS AT DENVER BRONCOS — 4:05 p.m.
N.Y. JETS AT SAN DIEGO CHARGERS — 4:25 p.m.
KANSAS CITY CHIEFS AT SAN FRANCISCO 49ERS — 4:25 p.m.
CINCINNATI BENGALS AT NEW ENGLAND PATRIOTS * — 8:30 p.m.
SEATTLE SEAHAWKS AT WASHINGTON REDSKINS — 8:30 p.m.